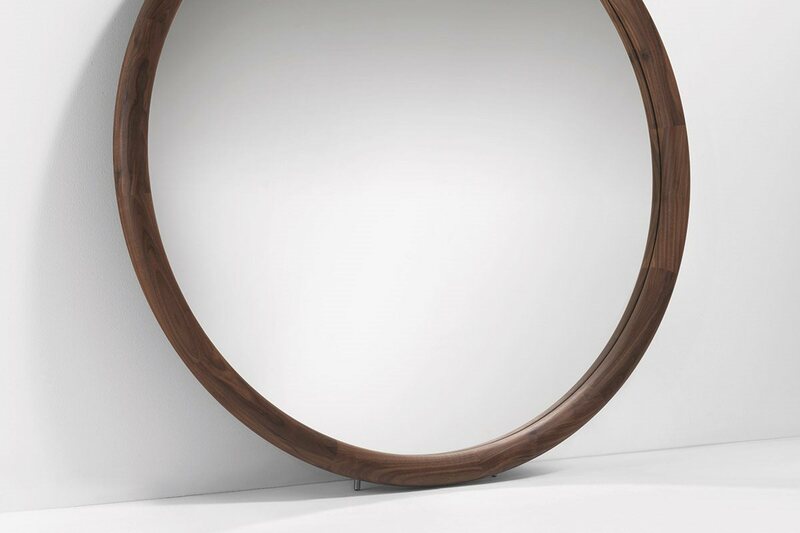 The Giove from Porada is a large, oversized mirror, with a solid canaletta walnut frame. The Giove has feet allowing it to be lent against a wall, alternatively, the feet can be removed so that it can be hung on the wall with strong fixings. 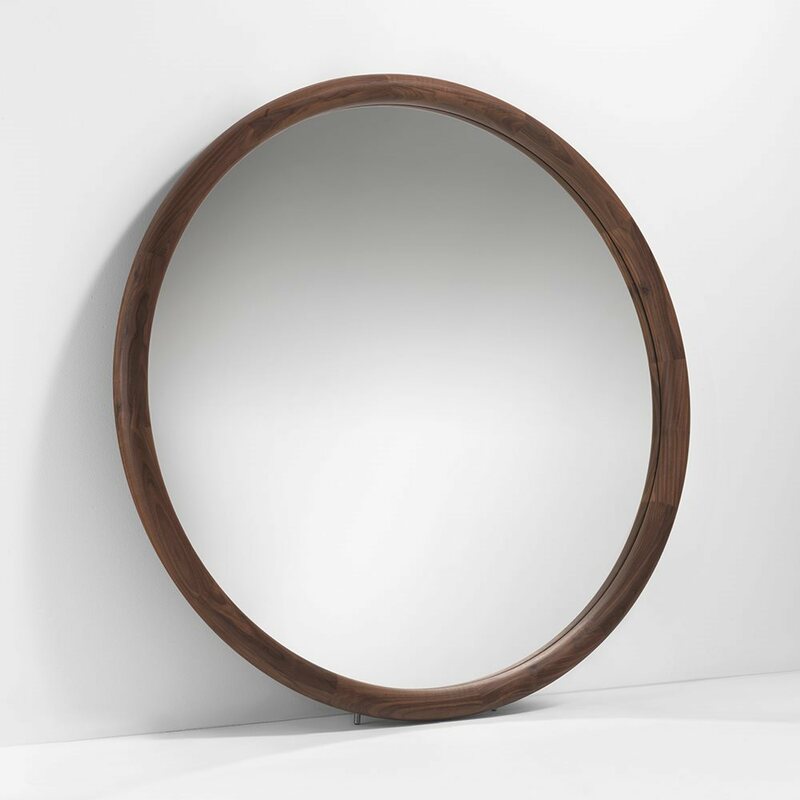 The mirror is priced with a walnut stained frame. 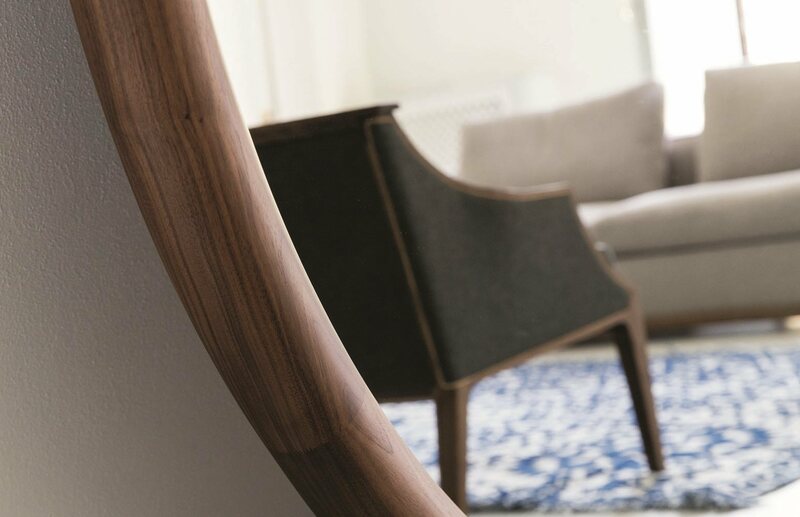 If you have any questions with regards samples or prices for gold/silver leaf finishes, please contact us by email at purves@purves.co.uk or call 020 3397 3723. 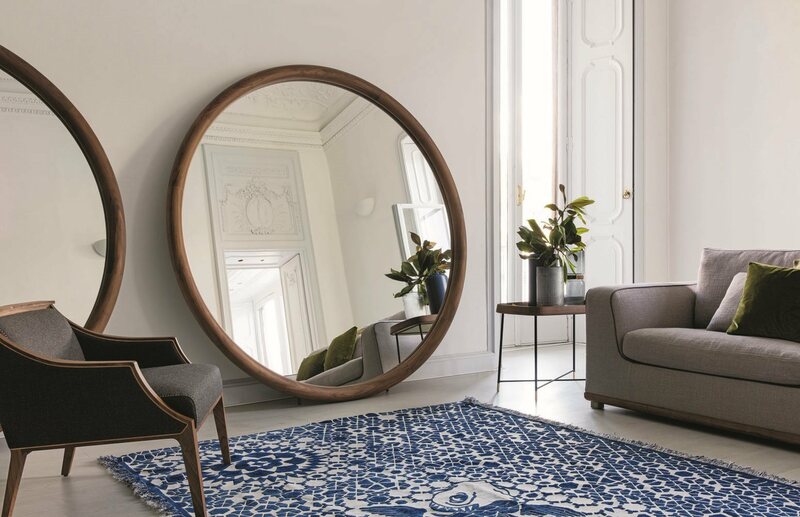 Designed by T. Colzani for Porada. Finishes - Canaletta walnut, Moka stained walnut, Wenge stained walnut, Gold leaf, Silver leaf. * Returnable samples are available on request in return for a £10 deposit.